This will be a short one because I wasn't able to take many pictures while baking, just from the result. 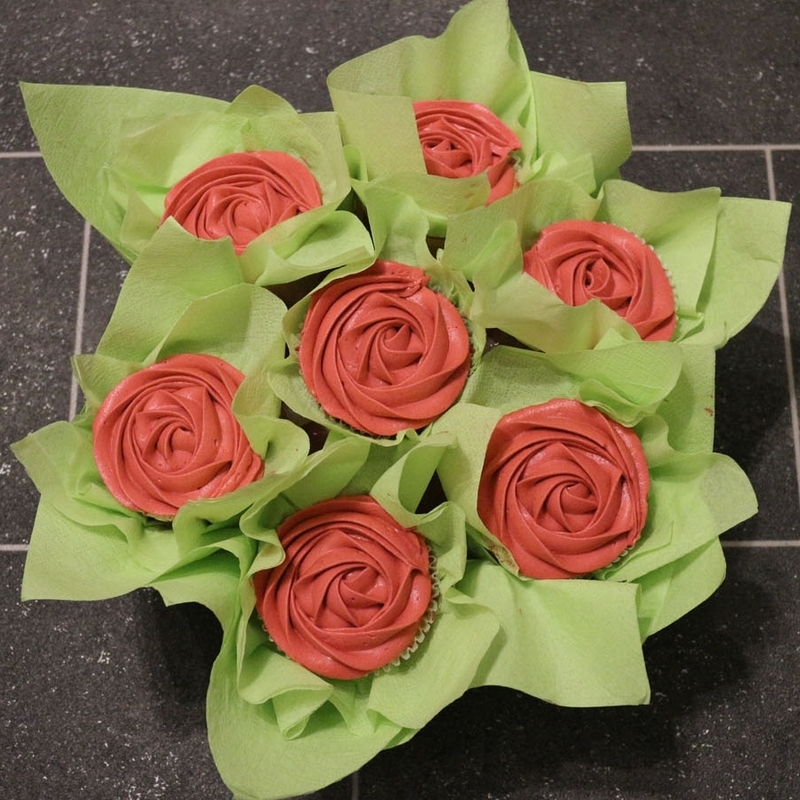 I made them for a friend's birthday (Happy Birthday again Lisa :-) ). 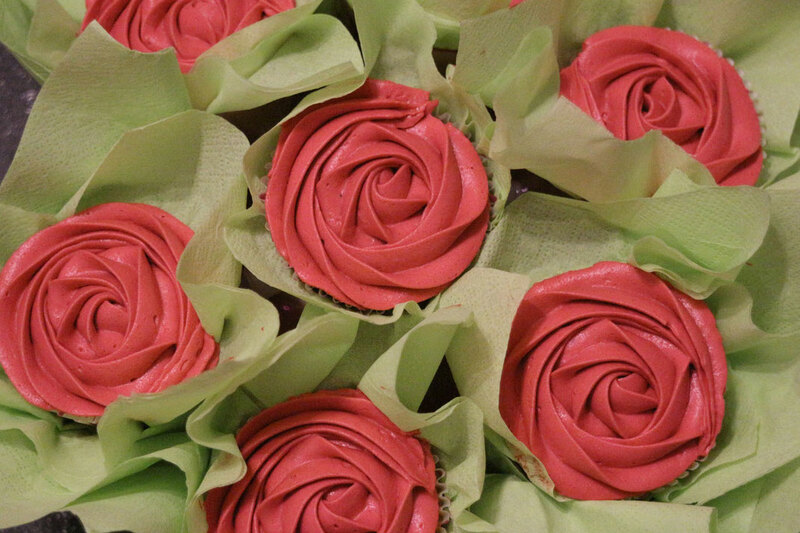 The cupcakes are simple vanilla cupcakes but you can use any kind and decorate them with a rosette out of red frosting (you can also vary the colour if you prefer a different one). There are different ways to create a cupcake bouquet and most of them are with pinning the cupcakes with toothpicks to a styrofoam ball. These ones look realy great, but I have to be honest I never tried out this technic because if you have to transport them and realy want to eat them it's difficult to dissasemble them again.